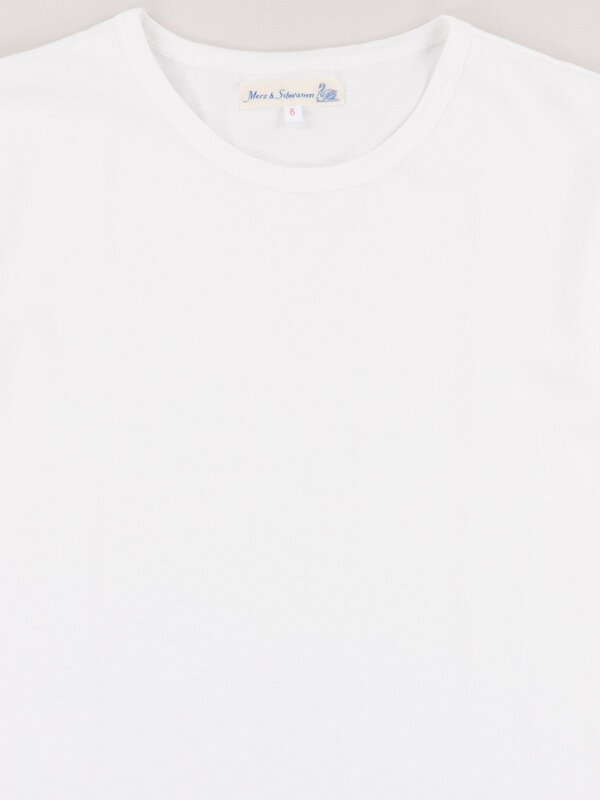 White 215 Organic Cotton Army Shirt. 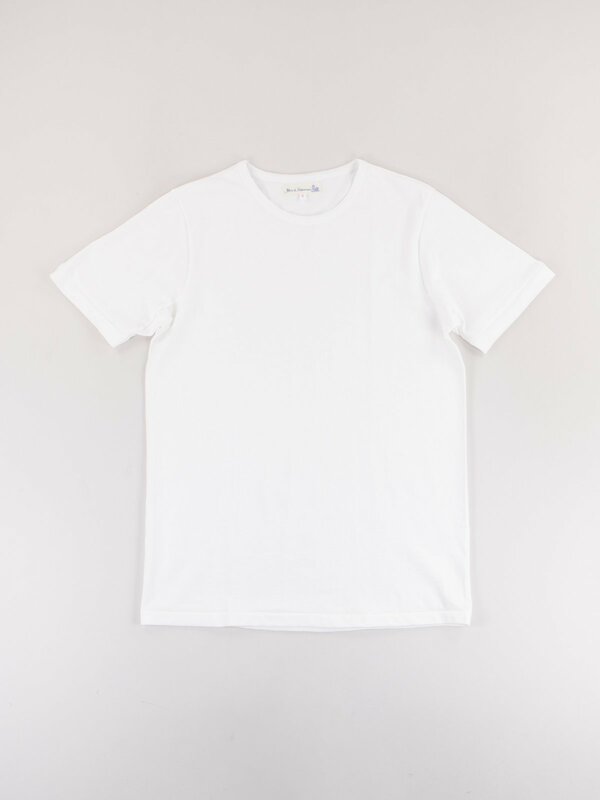 Prima quality, 2–thread 100% organic cotton t–shirt with a 1/4 open sleeve. 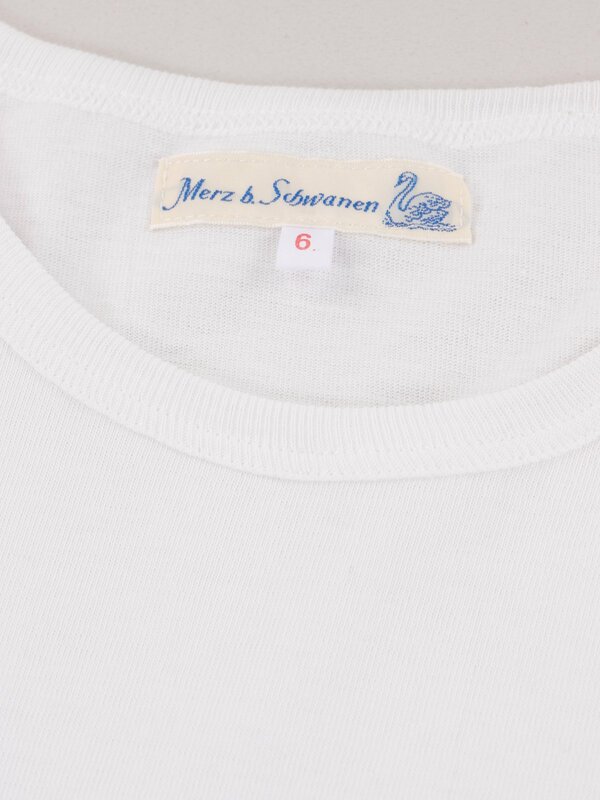 Size recommendation – Choose your normal size for a slim fit or size up for a looser fit. XS = 34–35, S = 36–38”, M = 39–40”, L = 41–43”, XL = 44”, XXL = 46”. All measurements are made from the garment laid flat and are given below in Inches. 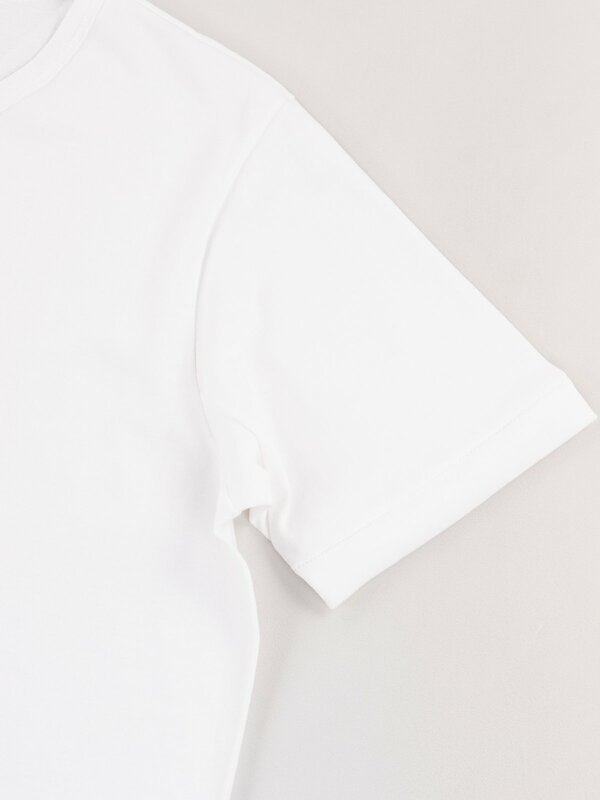 Chest is given as pit to pit and arm is measured from the shoulder seam to the end of cuff unless it is a raglan sleeve when it is given as pit to cuff. If you need any more info please contact us. Postage within the UK is £6.00 and will be provided by DHL EXPRESS – a fully tracked next business day service. If we receive your order by 2.30pm Monday – Friday, we will get it to you next business day. If you order after 2.30pm on Friday then your order will leave on the following Monday. You will receive a tracking number from DHL once we have shipped. Read more about shipping and returns in Shipping & Postage. Postage within the EU is £12.00 and will be provided by DHL EXPRESS WORLDWIDE - a fully tracked service and delivery which takes 1–3 working days, depending on where you are. If you order before 2.30pm Monday – Friday, your order will leave the same day. If you order after 2.30pm on Friday your order will leave on the following Monday. You will receive a tracking number from DHL once we have shipped. Read more about shipping and returns in Shipping & Postage. Postage to USA and Canada is £12.00 and will be provided by DHL EXPRESS WORLDWIDE - a fully tracked service and delivery which takes 1–3 working days, depending on where you are. If you order before 2.30pm Monday – Friday, your order will leave the same day. If you order after 2.30pm on Friday your order will leave on the following Monday. You will receive a tracking number from DHL once we have shipped. Read more about shipping and returns in Shipping & Postage. Postage to the Rest Of World is £15.00 and will be provided by DHL EXPRESS WORLDWIDE - a fully tracked service and delivery which takes 1–6 working days, depending on where you are. If you order before 2.30pm Monday – Friday, your order will leave the same day. If you order after 2.30pm on Friday your order will leave on the following Monday. You will receive a tracking number from DHL once we have shipped. Read more about shipping and returns in Shipping & Postage. Read more about shipping and returns in Shipping & Postage. If you need assistance please contact us via email at sales@thebureaubelfast.com anytime or phone +44(0)2890460190 between the hours of 10am – 5pm Monday to Friday or 10am – 12.30pm Saturday.